These were Reda Raad’s words at the agency’s 15th anniversary in the region when he left his position as chief operating officer of TBWA\RAAD to take over the reins from his father and become group CEO. Now on the brink of official adulthood, TBWA has seen a lot of changes in the past years. When the group started operations, it was “four people who came into an industry dominated by big giants with the sense that we could really create an impact on the regional ad scene,” reminisces Raad. And today? “The results speak for themselves,” he shrugs. TBWA\RAAD was awarded six trophies at the MENA Effie Awards. It was also named Agency of the Year at the Dubai Lynx International Festival of Creativity 2018, with an unprecedented eight Grand Prixs – among a host of other awards – while TBWA\Worldwide was also named Network of the Year. TBWA\RAAD Dubai was also named seventh among the Top 10 “Bravest and Best Agencies on the Planet” by Contagious. The second big change came in the management team. As the agency adopted a more integrated approach, it needed diversity in talent. And so, new staff was hired in the creative team, and the newly launched, innovation and data teams. 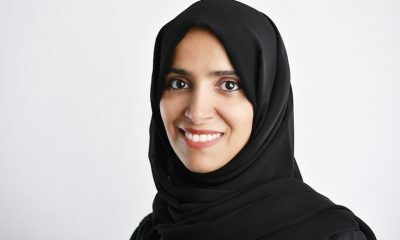 Raad admits, “Some of the decisions we have made over the past three years have been tough but they are starting to pay off, which means we now have a unique opportunity to lead in the market.” And indeed it is leading the market with more than 10 account wins in the last three years – the most recent being that of Mai Dubai and telco du, which had been with Leo Burnett since inception – and a total staff of 600 across the region. Out of the new staff hired, a majority have been what Raad calls “data people” in addition to digital talent, which includes motion designers, digital and social strategists, etc. What, then, is the difference between the data team at a creative agency and one at a media agency? “We’re trying to be a ‘data-driven solutions agency’ by bringing data to the very front of the thinking and ideation [process],” explains Reda. What this means is that before jumping into any brainstorm, the team would look at the available data to extract insights and then apply them to the business challenge. “We are bringing data much further upstream in our process. We are also combining data with ‘disruption’ to create an incredible mix. 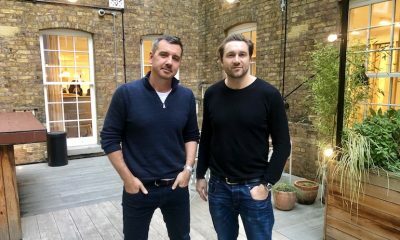 We are looking to solve business problems with this approach,” he says explaining that due to TBWA’s disruption-led approach, the agency is not only looking at the numbers but weaving them into context to tell a story. For instance, the idea behind the launch of the Infiniti Q50 Red Sport 400 was inspired and driven by data. The idea made use of an Emotiv headset, which measures brainwaves, to measure the excitement of a 100 drivers when they were behind the wheel of the Q50 Red Sport 400. For a man who doesn’t like the word ‘digital’, – “because the world is completely digital. How could you have an ECD today who doesn’t understand digital… where his ideas are going? I don’t get that” – Raad uses the terms ‘transformation’ and ‘disruption’ a lot. But, what do they really mean? Disruption, for instance, is the agency’s thinking, its motto – its “software” or “DNA” as he likes to call it. In practice, it is “developing a disruptive positioning for the brand that breaks convention, being brave, and being innovative,” he explains. This is actualized through something called “Disruption Live,” which identifies cultural triggers that could be meaningful for the agency’s clients. These triggers work in real-time; for instance, the Nissan 2018 GRL ad, which “was an instantaneous reaction to a historic event and resonated deeply,” says Raad. In fact, the GRL ad was just the beginning. The agency went on to develop “#SheDrives” for Nissan – a campaign that not only focused on women’s right to drive in the Kingdom, but also sought to influence change on men’s attitudes towards women driving. “We’re inspired by culture and Disruption Live is a way to proactively engage with it,” he adds. If disruption is the mind, transformation is the heart of the agency. TBWA\RAAD has a saying about itself: “We’re always in beta”. “So, we’re constantly changing and customizing and moving… there’s never a sense of rest at TBWA.” This process of changing and adapting isn’t without its faults. “We’ve failed so many times to get here,” admits Raad. He recounts a client pitch where the team went all out with their ‘21st century approach’ and presented what they thought was a unique and compelling idea, and at the end of the presentation the client says, ‘Where’s my TV?’ And of course, “We can’t ignore TV – especially in this region. 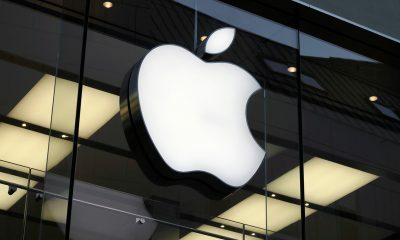 It’s still one of the largest mediums out there,” he concedes. This year, Raad plans to take TBWA to the “next level”. “With a creative-driven culture, a very clear vision of the way forward, and disruption at our core, we are putting the consumer at the heart of everything we do. And when I say culture, I don’t mean pool tables and gyms. I mean a culture of consistent creative excellence, where you rally around the work and that culture of creation,” he says. And now, more than ever, it is the time to prove that advertising – especially for creative agencies – is indeed a force to be reckoned with. Somewhere along the way, media agencies gained an upper hand due to their quick adoption of digital and data. ‘Integration’, in addition to ‘content’ and ‘data’, is one of the three pillars of TBWA\RAAD’s transformation. It has meant realizing that “we can’t do it alone,” says Raad. “We have learnt [that] being a radically open creative collective is what empowers us to be better and do better. There are a lot of people that we have to learn to collaborate and partner with,” he says. This collaboration – be it with media or technology parts – starts right at the beginning of the ideation process unlike the old days. 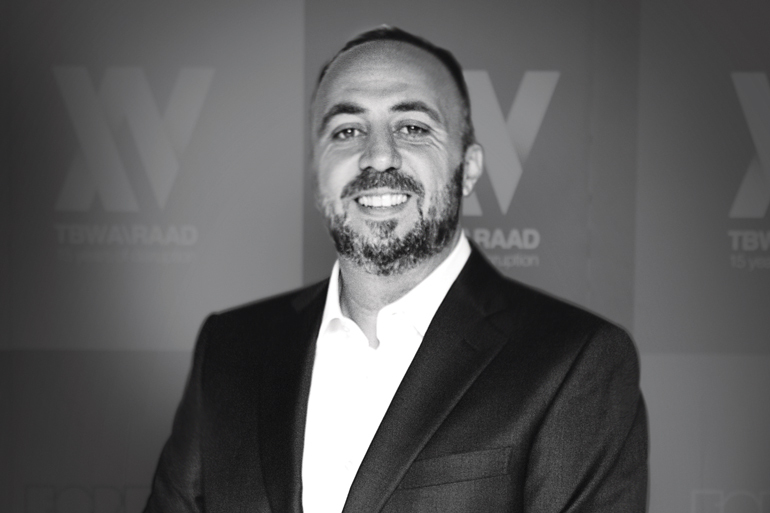 Even at holding-level pitches, “clients are looking for more integrated solutions,” says Raad. One such example is the launch of the Louvre in Abu Dhabi. The resulting “Highway Gallery” campaign went on to receive international media coverage and the Innovation Grand Prix at the Dubai Lynx. “That was very much a collaborative effort. We built a consortium of different organizations from media to tech and they were all part of the ideation,” he adds. MUST READ: Consultancies and agencies: the new model? This integrated future doesn’t only mean media and creative have to play well. There’s a new player on the field. For the first time in 2017, four consultancies cracked Ad Age’s ranking of the 10 largest agency companies in the world. With combined revenue of $13.2 billion, the marketing services units of Accenture, PwC, IBM and Deloitte sit just below WPP, Omnicom, Publicis Groupe, Interpublic and Dentsu. Raad, however, finds the potential threat to agencies “over-exaggerated”. While he admits that competition with consultancies is sometimes fierce – especially when it comes to recruiting new talent – he remains optimistic. “I’m confident we have what it takes to stay competitive and ahead of the game,” he says.